Not interested in Saint Clairsville ? Please choose a different community. 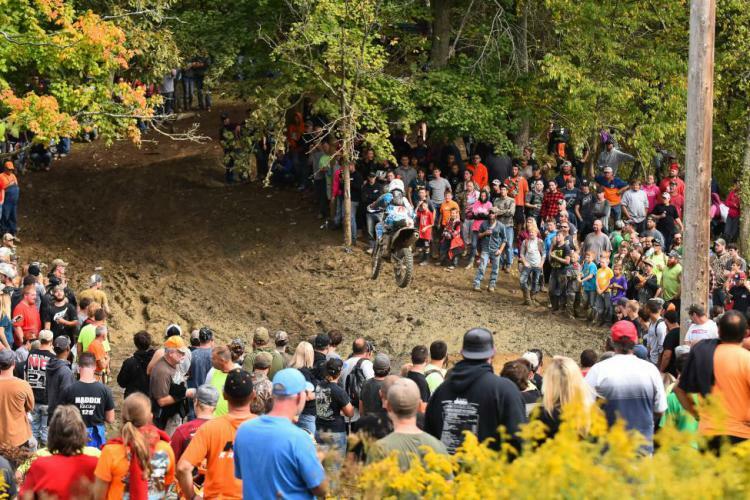 GNCC Racing matches man and machine against the toughest natural terrain on a grueling course winding through the woods, fast field sections and over tough obstacles throughout a 12-mile racecourse. Racers range from youth riders to professional riders and Senior racers up to 70 years old! They come from all 50 states and from around the world to compete in GNCC Racing making it a true sport for everyone! Saturday October 13th will feature ATV and UTV with Youth classes at 8am, 4x4 Pro, Pro Women and Amateur racing at 10am followed by Professional ATV Racing starting at 1pm. UTV racing will take place at 4pm. Sunday October 14th will see the dirt bikes take to the track with Youth classes at 8am, Amateur racing at 10am and Pro bikes and top amateurs at 1pm. Admission fee is just $20 for adults, $10 for kids aged 6-11 and children 5 and under are free! Admission prices are for the entire weekend and that includes access to the Pro pits where you can meet the top professional racers!